Nøgne Ø #100 I believe was the 2nd ever beer from this favourite brewery of mine that I have tasted, many years ago I was a big fan of #100. Now many years later I still like this beer but there are a few other Nøgne Ø beers that I still think are even better. Lots of people are not sure what the style of this beer really is, in the US it is labelled as a Barleywine and for the rest of the world, an IIPA or DIPA if there is a difference between the two. Mahogany in colour with a very thick beige head, aroma was full of roasted malt, caramel and quite piney. Quite a lot of hops in this DIPA and I am not 100% sure this time round that it balances out with the maltiness of this beer. Initially this beer was brewed for the employees of the brewery as a celebration of being their 100th brew. 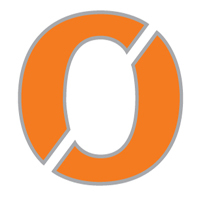 It became such a success that Nøgne Ø decided to add this to their yearly assortment. Quite a complex flavour to this beer, everything from roasted malt/coffee to licorice and bitter piney hops. This beer has tones of bitter chocolate and some nuttiness in the initial taste, but the main part of this beer is quite bitter and roasted. Medium bodied brew that has some cola and caramel sweetness with the bitterness of the hops to the front in both the aroma and body of the beer. This makes the finish quite bitter but with the carbonation and body weight of the beer, it balances out quite well. Still a big favourite of mine. 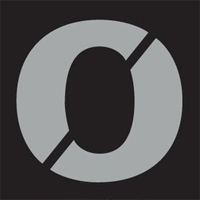 Nøgne Ø 100% Peated is brewed with 100% Scottish peat smoked whisky malt and has an intense smokey flavour and aroma. I was at the brewery many years ago when this beer was still in fermenting tanks and it was giving off an intense smokey aroma, I did get to taste it also but hated it back then. 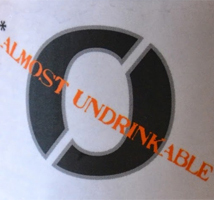 So I ended up with a bottle and was planning on blending it with a porter or adding it to a sauce but this never happened. It was light brown to amber in colour, aroma is very peat dominant, smoke, oaky and sweet malt. It pretty much smells like a peated whisky in a glass, Laguvulin. If the aroma was 100% peated then the tastes is about 80% which was a relief. It tasted a lot less peaty and was a touch sweet from the malt, but still lots of peat and smoke in this monster. Did not think this was going to be drinkable when i received the bottle, even the label states this but I was pleasantly surprised and quite enjoyed it. 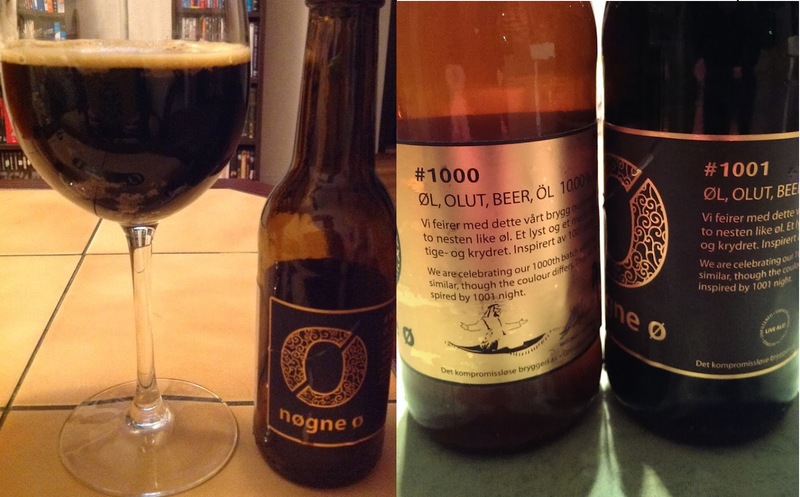 Nøgne Ø # 500 was brewed as a celebration to their 500th batch of beer. It was brewed using five malts & hops and 2 of the hops are new world funky hops from New Zealand with high alpha acids. The result is an incredibly rich and hoppy Imperial IPA. Malty enough to be almost a barley wine, but intensely fruity, mainly because it is dry hopped with generous amounts of Nelson Sauvin hops from New Zealand. This beer has a reddish brown appearance, more towards amber brown and was quite murky, remember all beers are unfiltered and bottle conditioned. Not the prettiest of DIPA to look at due to the cloudy body but this is long forgotten when one moves on to the aroma and taste. This type of beer I could spend hours and hours just sniffing it, I LOVE the aroma to this beer where it has all my favourite characteristics, tropical fruits, hugs amounts of sweet citrusy fruits, sweet malts, pine and resin. Right away one can tell that this beer is highly hopped but also has huge amounts of malts to back this up and the balance is just perfect. The body was sweet, oily and quite meaty with an abundance of exotic fruits bursting out. The sweet malt backbone is very caramel/toffee on the tongue and it is easy to see why many people say this beer is between a very hoppy IPA and a Barleywine. Strong hops presence from beginning to end with strong toffee malt flavour that blends very well with all the hops and both hide the alcohol in this beer very well. When I drink this beer it reminds me of Oppigårds Bangalore Twice & Ale Smith IPA, I love this beer and is right up there with my favourite Nøgne Ø beers. 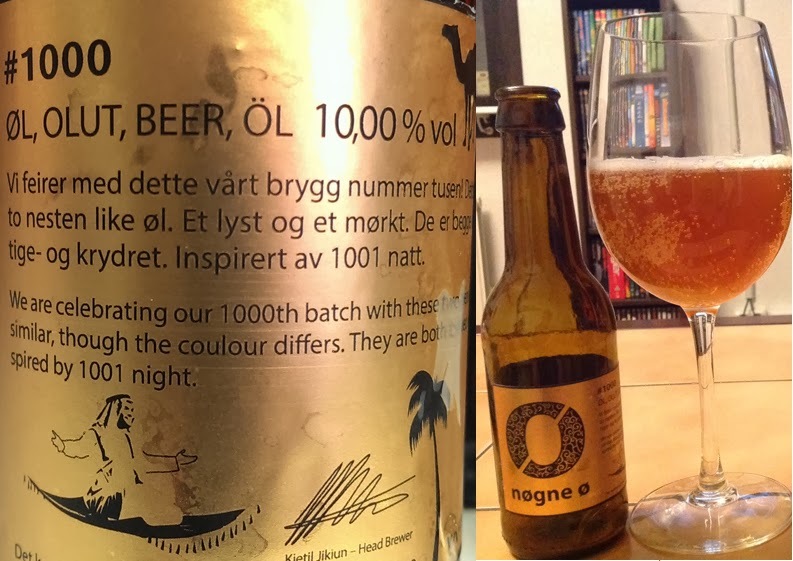 Nøgne Ø #1000 a Belgian spiced Tripel is brewed by Nøgne Ø to celebrate their 1000th batch of beer brewed at the brewery. Not only is there a #1000 but also a #1001 that I will review later. The inspiration behind both these celebration brews comes from "One Thousand and One Nights" which is a collection of West and South Asian stories and folk tales compiled in Arabic during the Islamic Golden Age. The world’s most famous collection of magical stories originated in Persia and only later became known in the West as the “Arabian” Nights. Both beers are brewed with Arabic spices inspired from stories in these collections. The aroma on #1000 was a lot more pronounced that in #1001 which was expected as #1000 is the light variation and #1001 being a dark beer. It smelled very Belgium in the beginning , later it reminder me of Underlig Jul and the spices I got were cloves, saffron & cumin just to name a few. Medium bodied, very easy to drink beer with the 10.0% alcohol nowhere to be seen and had an IBU of 50. The taste also had some spice to it, but was perfectly balanced between malt, hops and spices and I only wish they released this beer in bigger bottles because it was so delicious. Speaking of bottles, the labelling and packaging of these 2 bottles was very classy and I am sure it will make a perfect Christmas present for many. Rate this beer very high among all other beers from this brewery. Nøgne Ø #1001 a Belgian spiced porter was brewed by Nøgne Ø to celebrate their 1000th batch of beer brewed at the brewery. This beer has 10.01% alc which is pretty cool and also an IBU of 50 and is a dark beer with spices. The 2nd in this series inspired by 1001 Nights and packed with exotic spices from the Middle East. The aroma was puzzling me in the beginning, was I drinking a porter or a stout and it really developed into stout like characteristics as it adjusted to the room temperature. As with #1000 the aroma was amazing which is always a good start, packed with bitter dark chocolate, tobacco, leather, dark fruits and some hard roasted espresso there. The flavour on this beer is really nice, rich and creamy and packed with stout to Russian Imperial Stout qualities. Sometime it feels like a really nice porter also and has lots of dark chocolate, dark roasted malts and coffee in the taste. Funny enough I did not get any spices coming through here beside some vanilla. This is a beer that grows on you and not like #1000 the smaller bottle is best here. 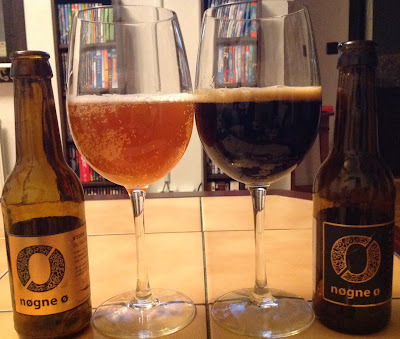 Nøgne Ø have brewed many great stouts in the past, this beer is stout like but completely different in aroma/flavour profile than the others and that is really cool. To sum up, the #1000 & #1001 are both great and I will end up buying many boxes if I can, and makes a great Christmas present to those who appreciate great craft beer.